Jason was delighted to see the latest plans for Huddersfield University’s Incubator and Innovation Centre at Globe Mills in Slaithwaite. 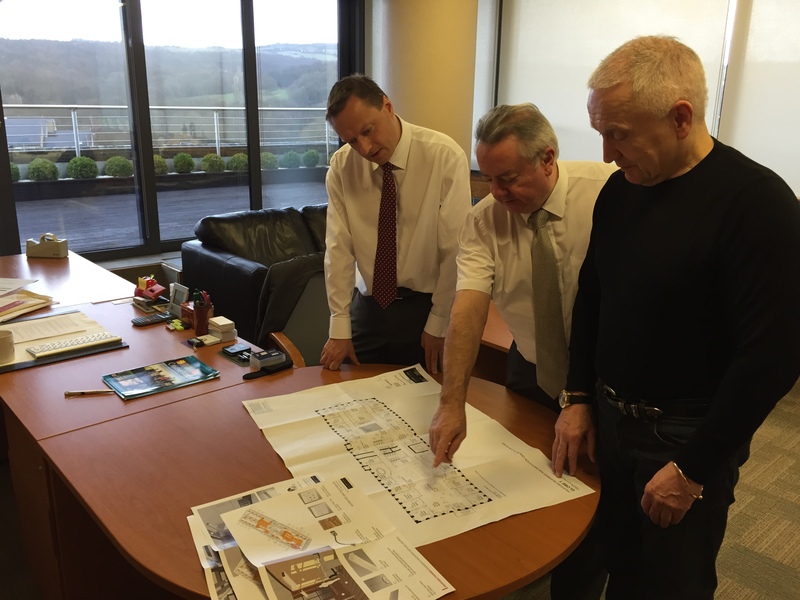 Jason was shown the plans by Bob Cryan CBE, Vice Chancellor of Huddersfield University, and Alan Lewis, Globe Mills Innovation Centre entrepreneur. The University of Huddersfield was recently allocated £2.9million of government funding through the Leeds City Region Local Enterprise Partnership Local Growth Deal for this project. This investment will further enhance the University of Huddersfield’s excellent relationships with new start up companies.